Formed in 1998, Mothers And Daughters Against Cancer was founded by Susan Highsmith Graveline and her then eight year old daughter, Alex. The Charter members consisted of 15 mothers and their young daughters who were friends of Susan and Alex. The mission of MADAC was...mothers and daughters making a difference in the fight against cancer. As a 2 time cancer survivor, Graveline wanted to teach her young daughter how to be active and positive in the fight against cancer. Graveline was first diagnosed in 1991 with cervical/uterine cancer. Three weeks after founding MADAC in 1998, once again Graveline heard those terrifying words “you have cancer” when she was diagnosed with breast cancer. With the MADAC members supporting her; Graveline endured a lumpectomy, 4 months of chemotherapy (had a “Shave My Head Party”) 6 weeks of daily radiation, and 5 years on Tamoxifen. In its first year, MADAC raised $ 3,500 for the American Cancer Society. Each year it doubled the funds raised. 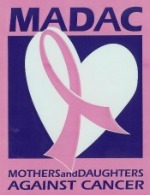 In 18 years, MADAC has raised over $1,000,000 while successfully strengthening the bond between mothers and daughters. MADAC has grown to over 100 mothers and daughters. MADAC has inspired others to start their own teams and become active in the fight against cancer and the Relay for Life. MADAC has always been a leader at the Gwinnett County Relay for Life which is the largest in the World and the only Relay to raise over $2.4 million in one year. MADAC has won the coveted Spirit Award numerous times and has been in the Top Five Fund Raisers every year. After several years of being a Relay for Life Team, MADAC became a 501(c)3 charity which enabled it to fund specific needs regarding cancer issues. The first two endeavors MADAC supported were the Patient Resource Navigator program at Gwinnett Medical Center and purchasing a “Chester Chest” training mannequin for Aflac Cancer and Blood Disorders Center of Children’s Healthcare of Atlanta. Collegiate scholarships were awarded to female cancer survivors to continue their educations. 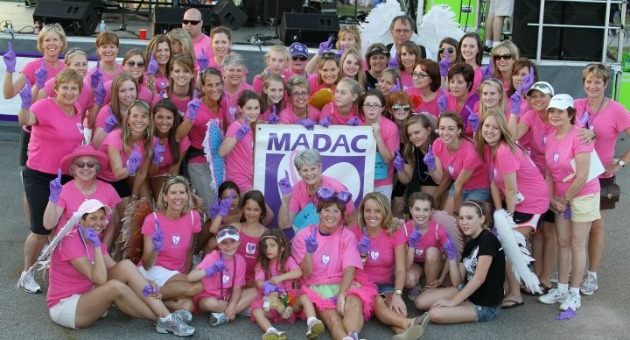 Over the years, MADAC has morphed from an active team of young mothers and daughters to a recognized community supported organization. In 2013, MADAC became a Donor Advised Fund at the Community Foundation for Northeast Georgia (CFNEG) affording MADAC a broader reach to the needs of the cancer community.